the “Taney 12″ for their incredible run at the Little League World Series. The parade starts at 2 p.m. on 20th and Market streets and will make its way down Broad street ending at Pattison street and FDR Park on Broad. 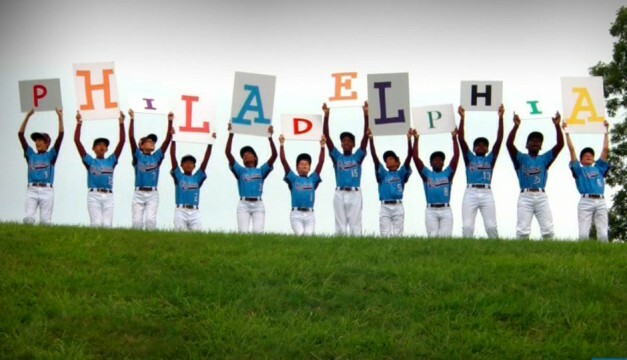 The Taney Dragons, as you may recall, clinched a spot in the Little League World Series in Williamsport this month not only representing Philadelphia and Pennsylvania but the whole Mid-Atlantic region of the United States. The parade starting at 2oth and Market Streets will make its way down to the Kimmel Center 2:30 p.m. where Taney will receive a performance by the Philadelphia POPS! Heading further south, the Taney 12 will also be greeted by the Mummers 3:30 p.m. at Broad Street and Washington Avenue, coming to and end at FDR Park for a huge pep rally 4 p.m. at Broad and Pattison streets. Later tonight the Philles will honor the Dragons for their tremendous athletic achivments at Citizens Bank Park just before the Nationals game and allowing them to all simotaneously throw out the ceremonial first pitch. The ever-so-secret Dîner en Blanc is back! Thursday, August 21, hundreds of people decked out in white from head-to-toe will be roaming through Philadelphia to enjoy a very exclusive dinner with close friends. 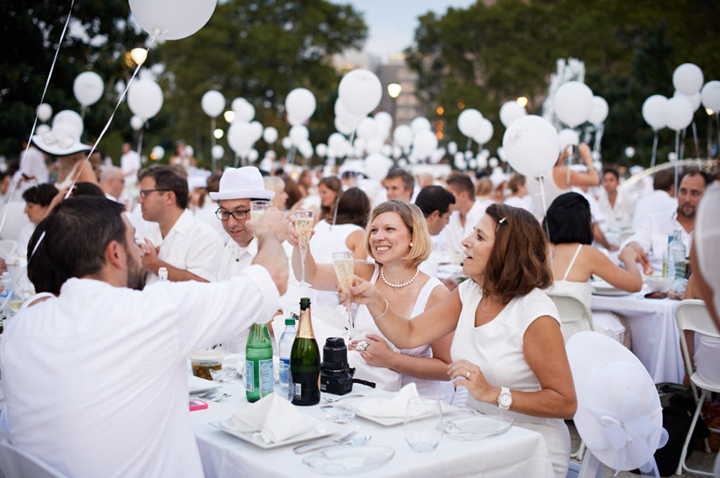 Originating in Paris, France over 25 years ago, Dîner en Blanc started out with just a handful of friends. Now the secretive diner is held in over 50 cities around the entire world closing down major streets and widely-known sites such as Logan Circle and 30th Street Station. Guests of the secretive dinner can register only by receiving an invite from a guest of previous years. Attendees are to bring a small table for two, white chairs, wine or champagne, and a picnic basket of food for the night to a private location that is sent out just hours before. All guests are asked to dress elegantly in white to preserve the luxurious feel of the dinner. After the location is revealed, guests will travel together through the city to set up their tables and chairs. Once all guests are settled in, the dinner commences with the lifting of white napkins by all to signify the taking over of the public space. Once dinner is finished there is a magical moment of lighting sparklers to indicate the opening of the dance floor. It is sure to be a magical night for all who are attending and even on-lookers throughout the city. For more information on the night in white check out the event’s website. It’s all Greek to The Yardley Inn. On Thursday, August 21, the Inn will be holding a Greek Wine Dinner at 7 pm. All guests are invited to come in and get an authentic taste of Greece with a five-course menu made up of delicious Greek delicacies for $55 per person. Dishes will include a Grilled Halloumi Cheese dish, grilled octopus, a mackerel dish, and succulent grilled lamb skewers.Each course will be paired with a different Greek wine for guests to enjoy. The night is sure to be filled with good company and laughter so grab your friends and get down to the Yardley Inn. For a complete menu click here. To make reservations call the Inn at 215-493-3800. Don’t miss this special opportunity to dine under the stars with Catelli Duo on August 20, 2014! It won’t be a typical night at the restaurant as they close down part of the boulevard starting at 6:30 pm, to serve family style antipasti, pasta, salad, and dessert. Delicious menu items include fan favorites, such as rigatoni, short rib, and mini-cannolis to finish off the night. Catelli Duo offers a fresh take on restaurant dining with their different size plates and emphasis on sharing and sampling. This is the perfect occasion for the entire family, as you’ll experience the ambiance of street dining with the magical touch of twinkling lights draped above you for a feel of being under the stars. The tables will even be dressed with red and white checkered cloths for an authentic Italian feel. The event is $35 per person and children ages 12 and under are just half the price at $17.50! Even better, a portion of the proceeds from the event will be donated to the Alicia Rose Victorious Foundation which aims to improve the quality of life of teenagers with cancer and other life-threatening illnesses. The restaurant is located in the Voorhees Town Center at 12101 Town Center Blvd in Voorhees, NJ 08043. To view the entire menu for the event, click here. The Time is Ripe at the Tomato and Pear Festival! The time has finally come to grab the family and make your way over to Linvilla Orchards for their annual Tomato and Pear Festival! The fun filled, yearly event will be held next Saturday, August 23rd. There’s no better time of year to get your favorite fruit fix than now, and the Orchards’ ‘pick your own’ will be open starting at 8am. Exciting educational sessions will be held at different times throughout the festival. Linvilla’s Beekeeper Warren Graham will also be discussing his practice from 10am-5pm. He will be selling his delicious locally produced honey all day, so don’t miss out! At 10am, learn all you need to know about tomatoes at the Tomato Talk and Tasting with Farmer Norm- impress your friends with your knowledge! There will be plenty of entertainment for adults and kids alike. Officer Offbeat will be juggling around the festival from 12pm-4pm and will put on his own spectacular performance on stage at 12:30pm. Costumed characters will also be making frequent appearances, and kids can also join in on face painting, pony rides, and more! When you’re tired from all the fruit picking, catch The Ultimates at one of their live shows which begin at 11am and 2pm. For more information on this free event, visit the event’s website. 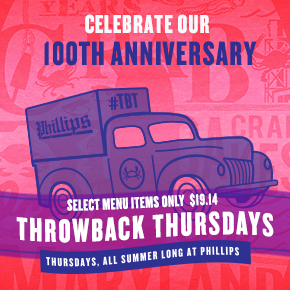 In honor of Phillips Seafood 100th Anniversary this summer, Phillips is currently offering a Throwback Thursday Menu with all dishes priced at $19.14 to commemorate the founding of Phillips back in 1914. Enjoy all the specials every Thursday all summer long. Items you can find on the TBT menu include Phillips Amber Ale Top Neck Clams – 14 steamed clams with roasted pepper, Natty Boh sausage, corn on the cob & garlic bread, Garlic Atlantic Salmon with tri-color potatoes, asparagus and lemon chive butter and Pan Seared Chicken with wild mushrooms, mashed potatoes & broccolini. In order to receive this special deal there are a few different options you have. The first is to share our Throwback Thursday post on Phillips Seafood Facebook page. In addition you can retweet or post your own tweet on Twitter with the hastag #tbtPhillips. The final two ways to score the deal are to post a picture on Instagram with the hashtag #tbtPhillips or repin one of Phillips recipes on Pinterest. After doing on of these small steps, be sure to show your post to your Phillips server to receive the delicious offer! The 100th Anniversary celebration continues throughout the rest of the year at Phillips Seafood so stay tuned for more exciting promotions! Attention All Allagash Beer Lovers! Catelli Duo will be mixing it up on Monday, August 4th with a night dedicated to Allagash Beer. The night will kick off with hors d’oeuvres and an Allagash White draft at 6:30 pm. 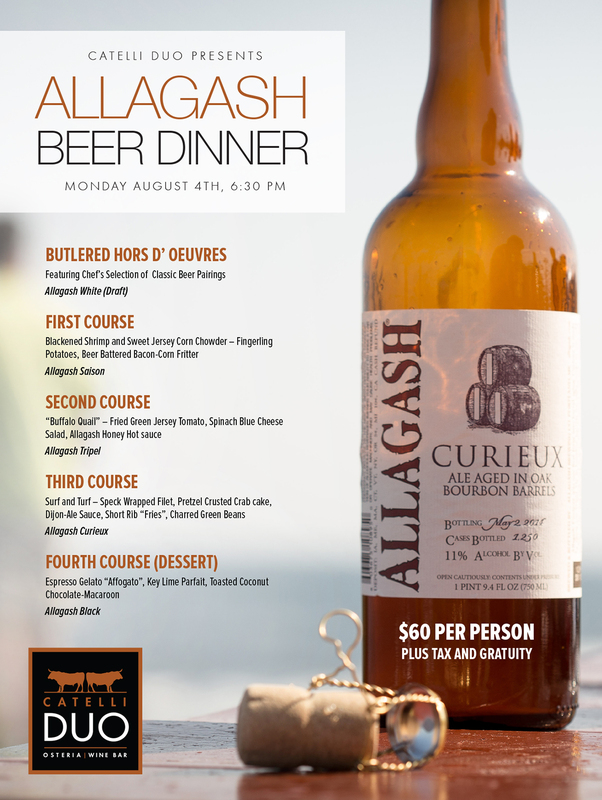 Four different courses will follow, each being paired with a different selection of Allagash beers. The menu will feature dishes that complement the selected beers including beer battered bacon-corn fritters and a delicious surf and turf entailing a filet, a pretzel crusted crab cake, short rib “fries,” and charred green beans. Tickets are $60 per person plus tax and gratuity and can be purchased here. For a complete list of the courses and beer selections head over to the menu here. 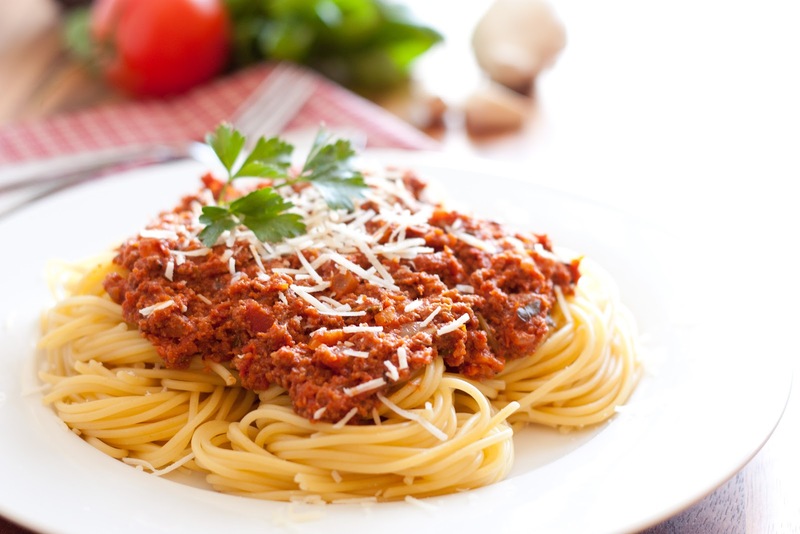 It’s sure to be a delicious night filled with laughter and mouth-watering dishes so grab some old friends and head down to Catelli Duo located at 1201 Town Center Blvd in Voorhees, NJ.